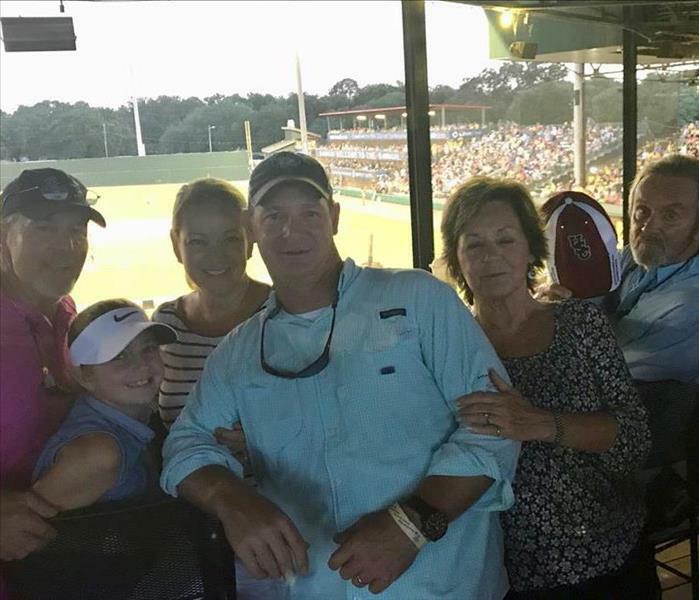 SERVPRO of Savannah has been family-owned by the Harvin's for over 36 years. When you call our office, rest assure you will receive quick response and will be treated with service and respect as if you are part of our family. 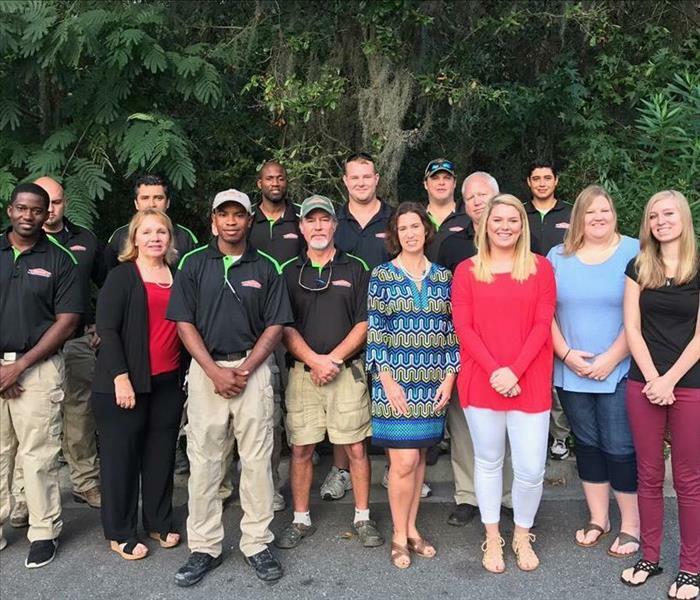 SERVPRO of Savannah thanks our First Responders for making our city a safer place to live. 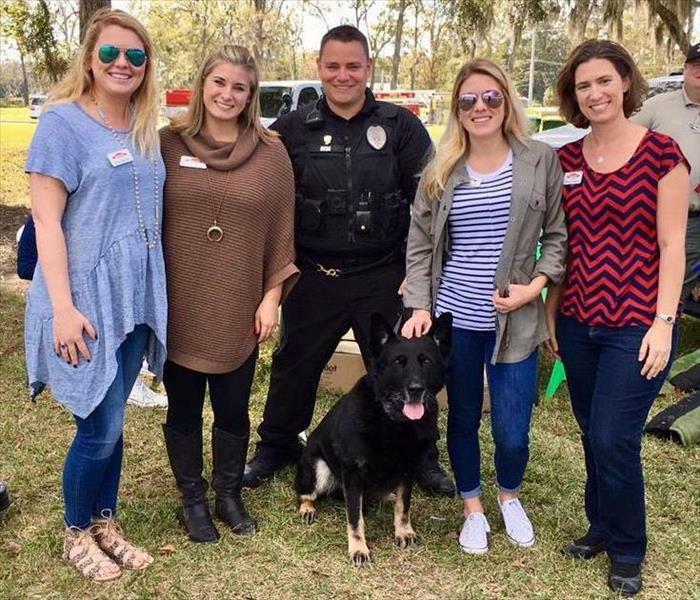 We enjoyed being a part of this Public Safety Day and getting to meet some of the K-9 unit this day. Before SERVPRO of Savannah arrives on scene to clean up after a fire, our brave fire fighters are on the scene to extinguish the fire and make sure everyone is safe. We thank our fire fighters for what they do every day. One way is to sponsor the IAFF Fire Fighters Golf Tournament. 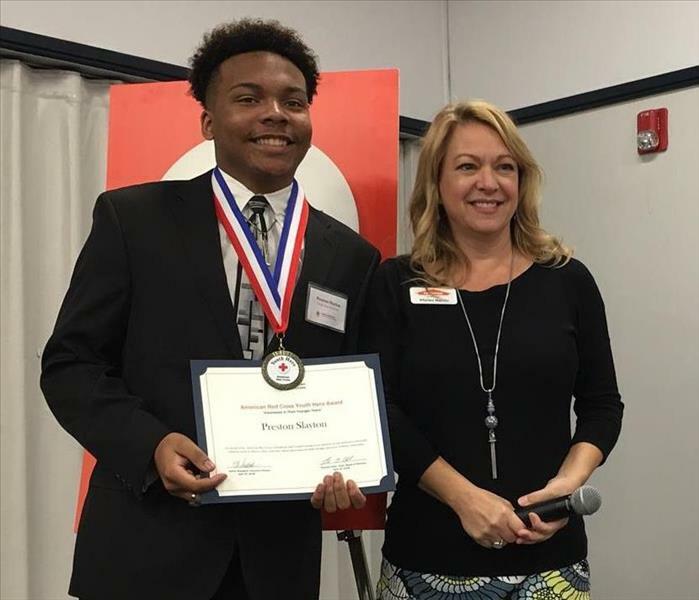 SERVPRO of Savannah enjoys being part of local community events such as the Red Cross Youth Hero Awards Banquet. We love our city and love to find ways to give back to make Savannah an even better city. 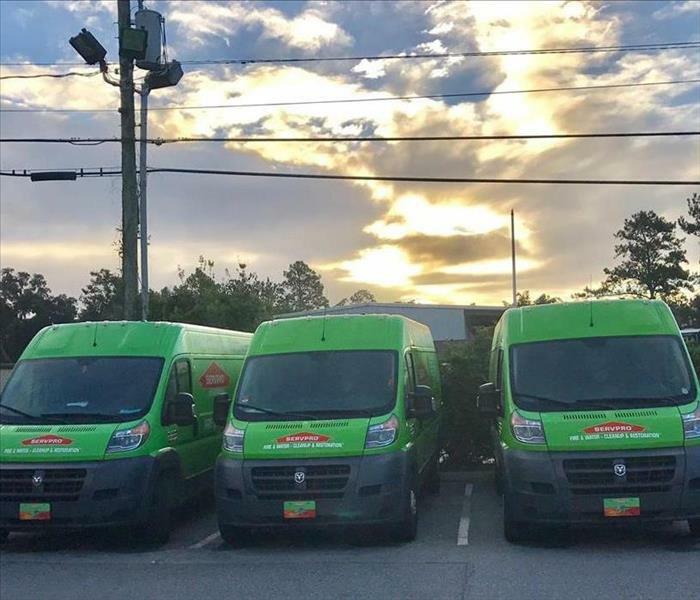 When you call SERVPRO of Savannah, you will receive local and immediate response 24/7. At SERVPRO of Savannah, it is important for our employees to be trained and educated to better serve our customers. 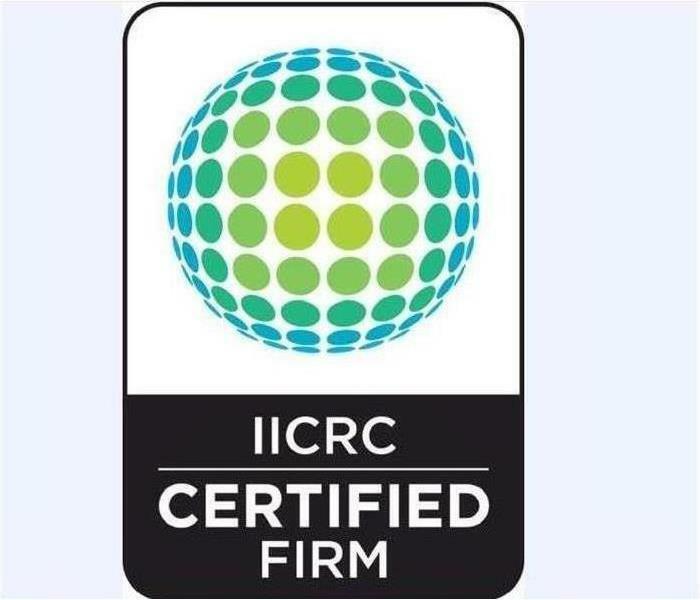 Many of our Managers, Technicians, Administrative Assistants, and Marketing Representatives hold the IICRC Fire & Smoke Restoration Certification. 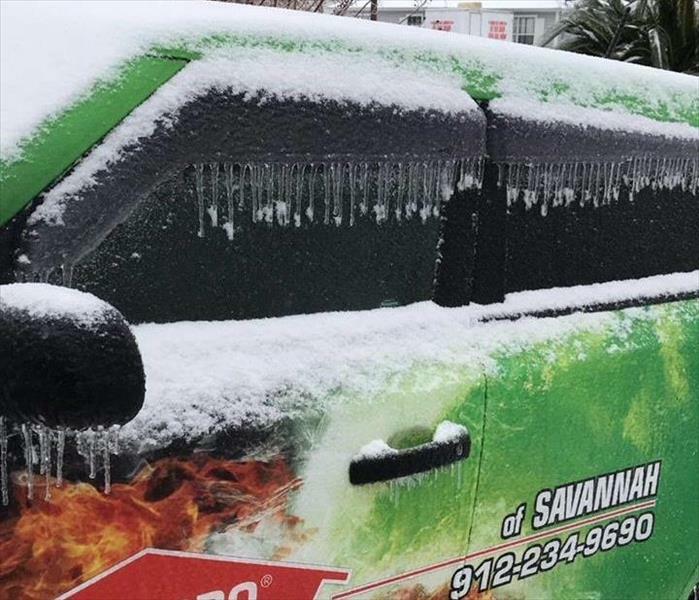 Be sure to call SERVPRO of Savannah at 912-234-9690 and we can help 24/7. SERVPRO of Savannah is an IICRC (Institute of Inspection Cleaning and Restoration Certification) Certified Firm. This means SERVPRO of Savannah is recognized for our expertise, professional excellence, and quality of service. Call us for all your Fire & Water Cleanup and Restoration needs 912-234-9690. 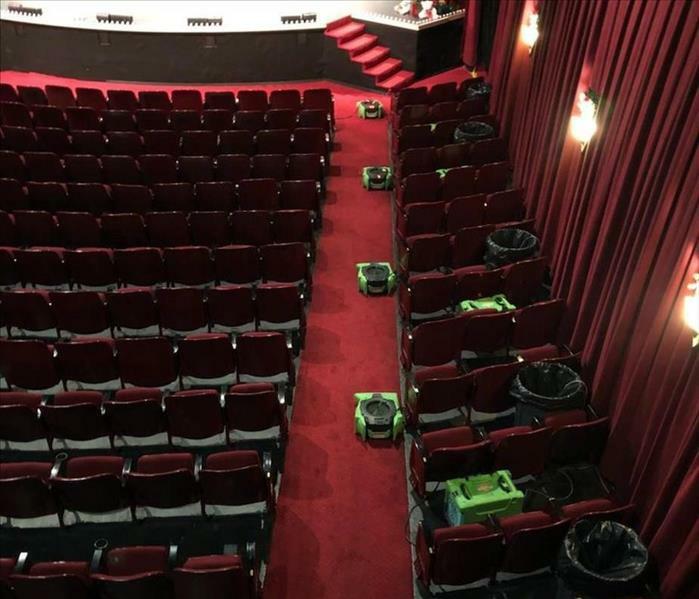 A theater in downtown Savannah was wet after a sink supply line broke. The dressing room, a hallway, the orchestra pit and a third of the auditorium were affected. We were able to remove all the water and dry all of the affected areas before the next Christmas program! Who would have ever thought we'd have this much snow in Savannah?!? How awesome does our Kia look covered in snow? 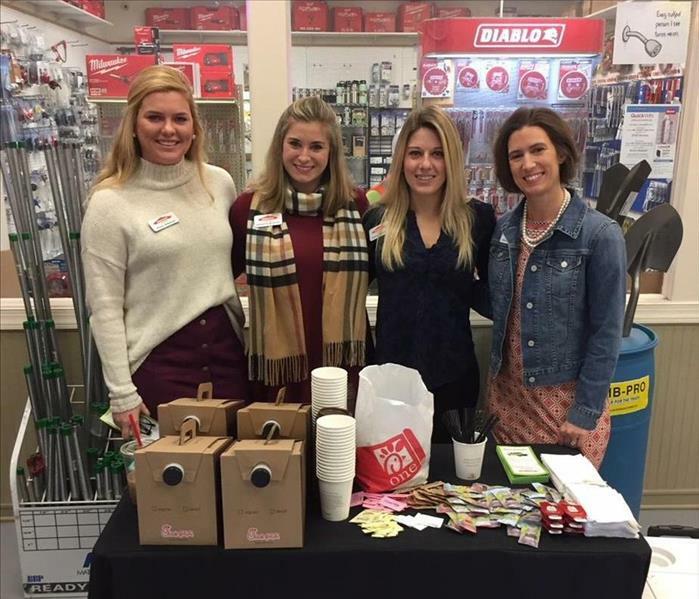 Our Marketing Team bringing breakfast to the plumbers at Sandpiper Supply to ensure that they know who to call when they show up to a job with extensive water or mold damage. While we specialize in making your water and fire damages "Like it never even happened", we also are there to help with your cleaning needs. SERVPRO offers carpet cleaning services for when you need them the most. 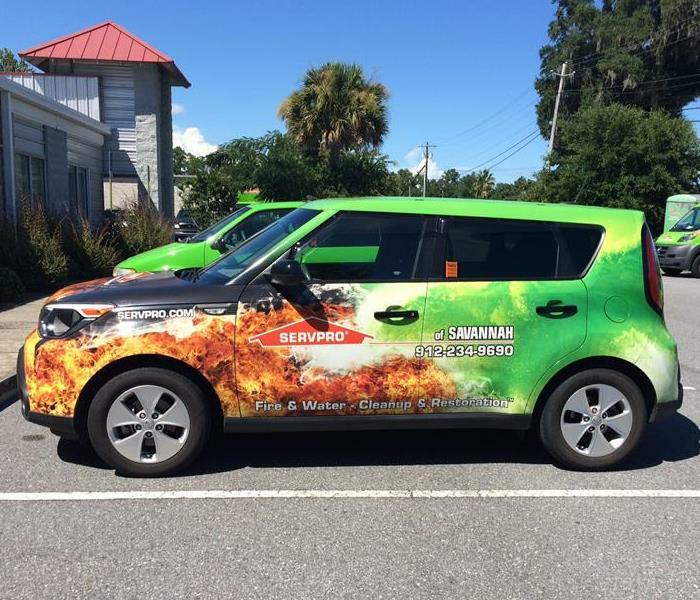 Did you know that SERVPRO of Savannah has FIVE wrapped vehicles roaming the streets of Chatham County? Make sure you give us a wave next time you see us! 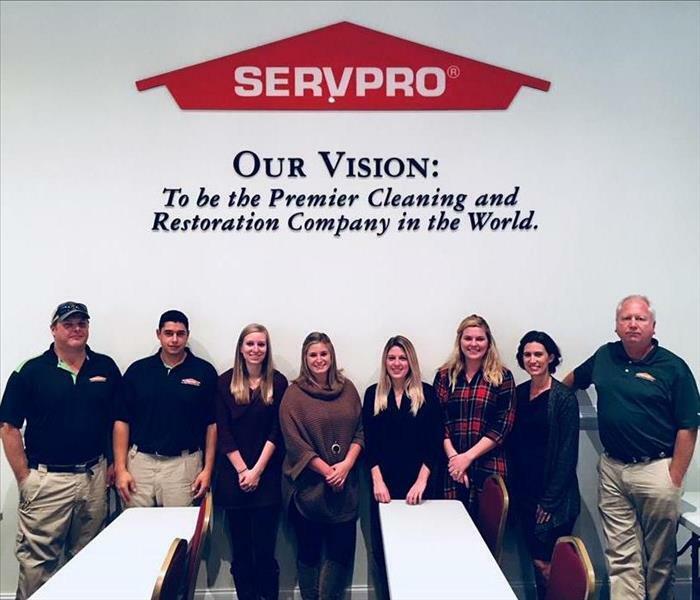 Pictured is some of our SERVPRO of Savannah team! One of our vans being used after a sewage backup contaminated a local school. Some of our crew pauses to take a lunch break while at a commercial water damage that was cause by Hurricane Irma. HUGE congrats to our very own Kevin Horton!! He won a gold medal in bowling at the Special Olympics in August 2017! We could not be more proud of you, Kevin! A spring storm brought water into this local Savannah home causing some water damage. 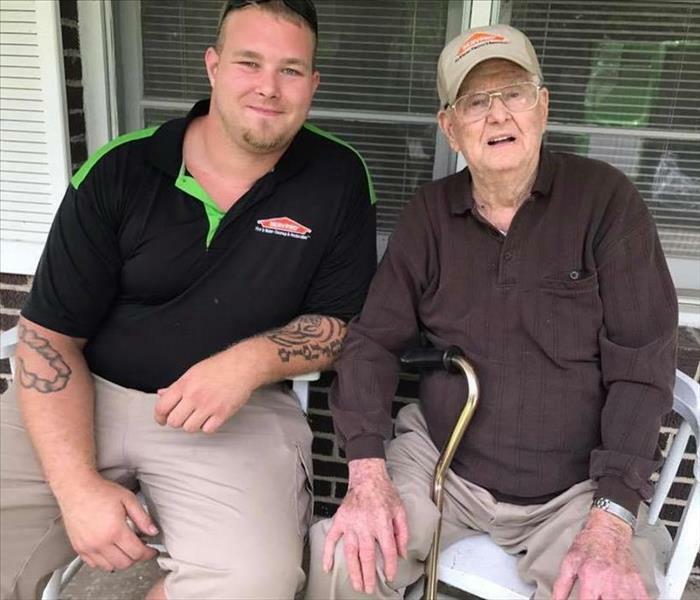 The homeowners called SERVPRO of Savannah and we were able to set up air movers to make it "Like it never even happened." SERVPRO of Savannah was called out to a local home for water damage. 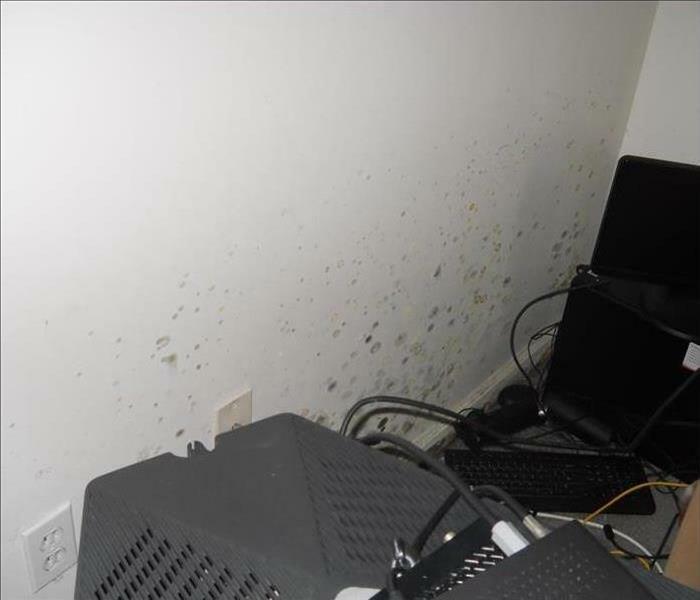 After inspecting the area, mold was also found. We were able to clean up the water damage and treat the mold so that the homeowners could return their home to normal functionality! 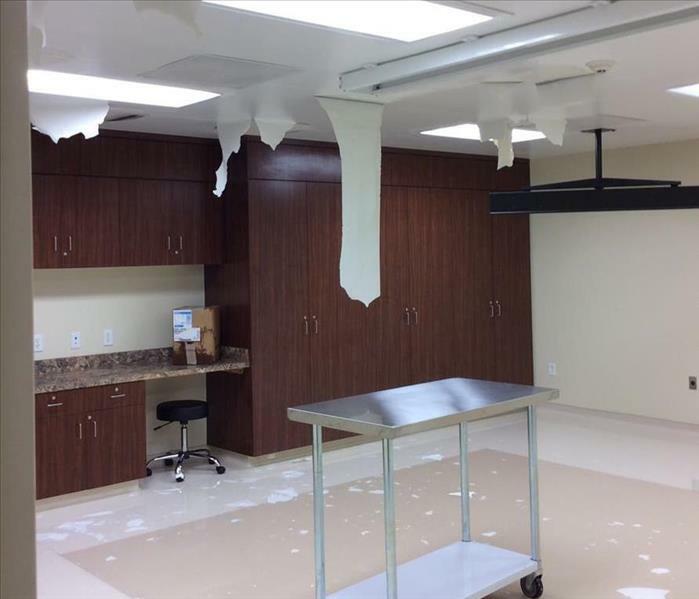 This shows some water damage to the roof and some flooding on the ground in a local office. 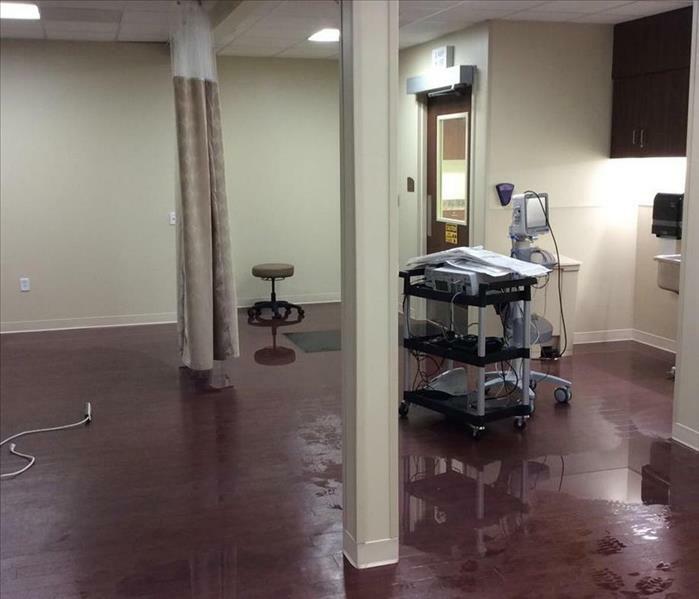 We were able to extract the water quickly so that the office could return to business as soon as possible! 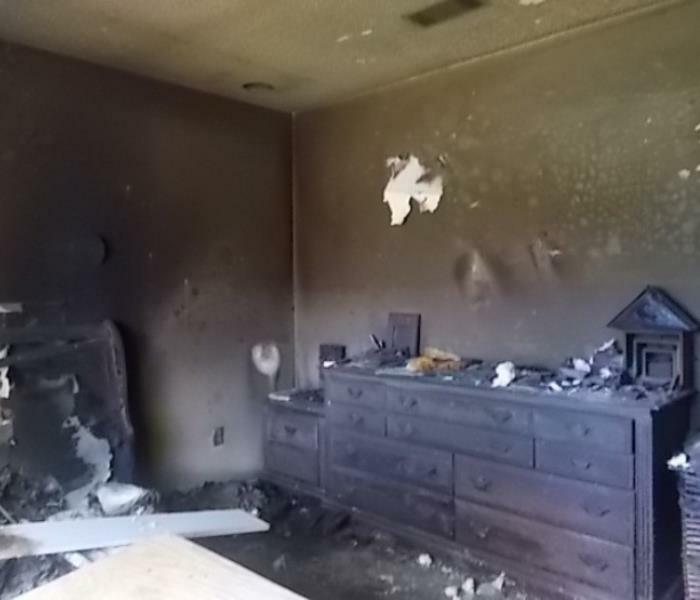 A fire in a local Savannah home caused severe smoke and soot damage in this bedroom. Smoke damage is not the only result from a fire - your home or building can experience large amounts of soot that settles onto your belongings and furniture. SERVPRO of Savannah can get this cleaned up and deodorized for you "Like it never even happened." A downtown business had some flooding during the hurricane. 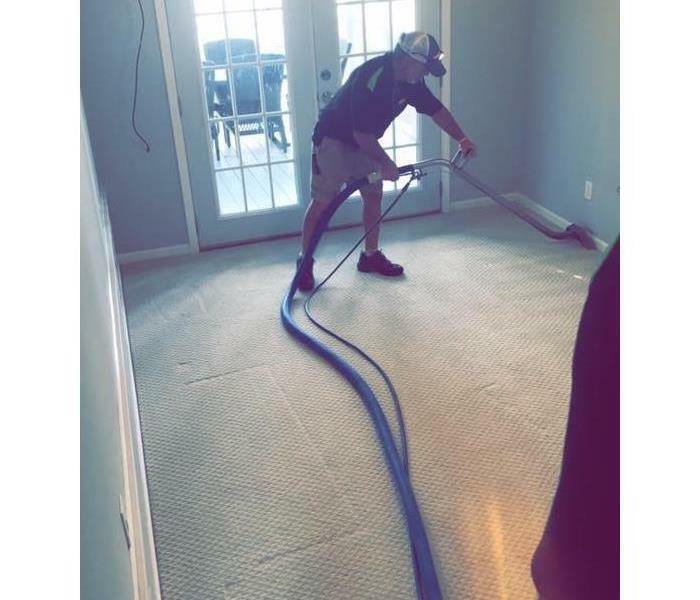 SERVPRO of Savannah was called for the job. We had to remove the lower part of the wall to ensure that we were able to dry everything that was touched by the water. 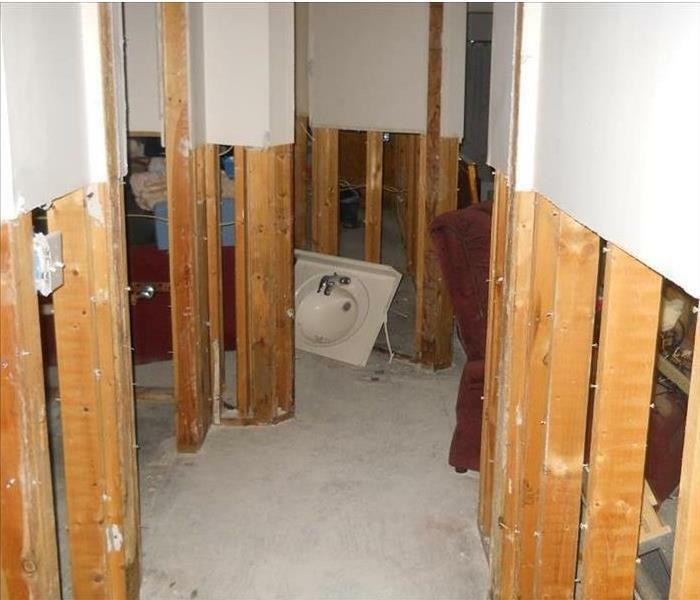 This family’s Savannah residence experienced serious water damage throughout the entire home. SERVPRO of Savannah has the expertise and equipment to mitigate residential water losses just like this one. In this particular situation, the carpet could not be salvaged. The family was very grateful to be able to use the space again within a matter of days! A fire in a local Savannah home caused severe smoke and soot damage. 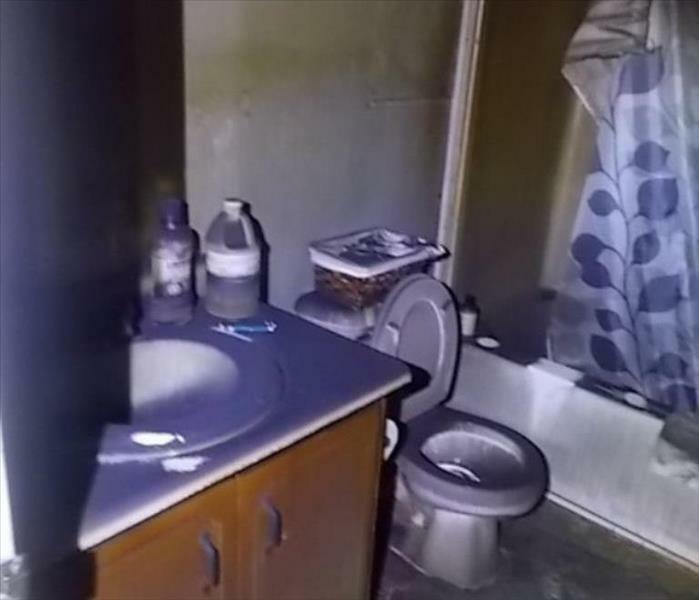 Smoke damage is not the only result from a fire - your home or building can experience large amounts of soot that settles onto your belongings and furniture. SERVPRO of Savannah can get this cleaned up and deodorized for you "Like it never even happened." 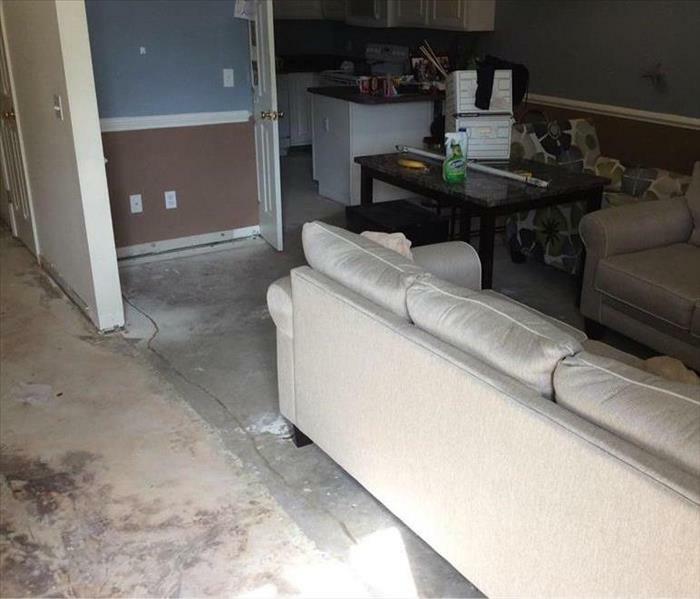 This family’s Savannah residence experienced serious water damage after Hurricane Matthew. SERVPRO of Savannah has the expertise and equipment to mitigate residential water losses just like this one. In this particular situation, the flooring could not be salvaged. 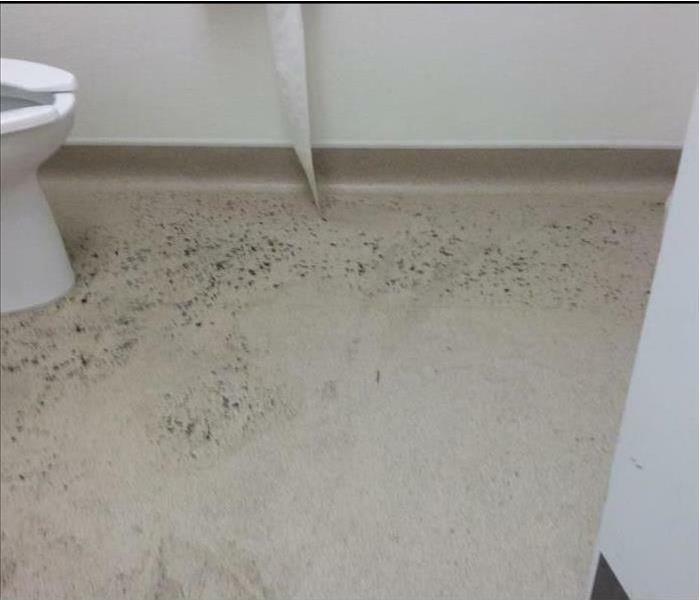 The men's bathroom at a store in Savannah overflowed, causing some mold to form. 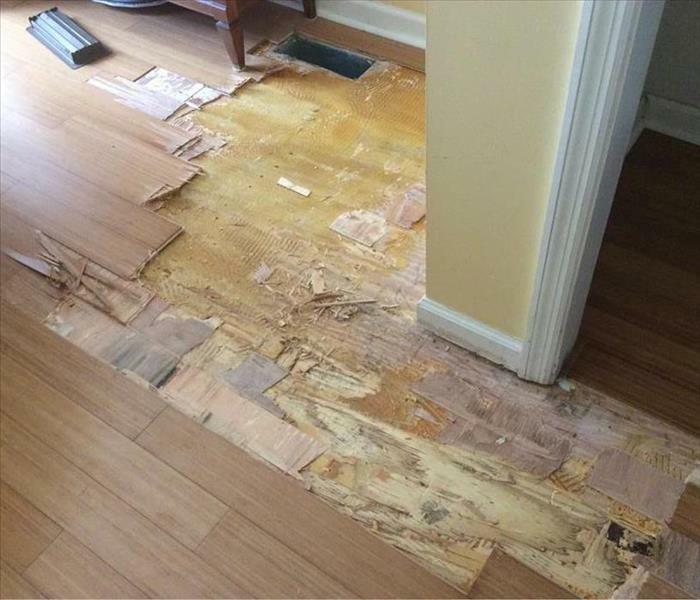 SERVPRO of Savannah was able to come in quickly and clean up the mess, leaving it "Like it never even happened." 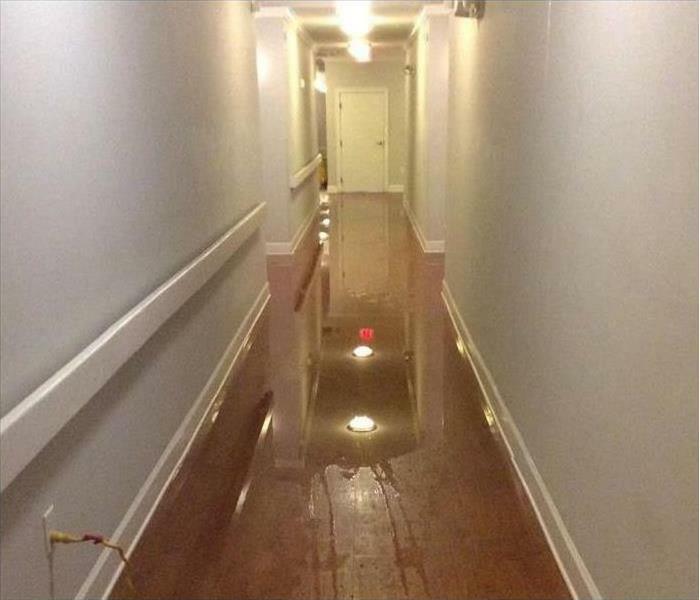 The hall and common area of this Savannah apartment complex was flooded after a water line was compromised. 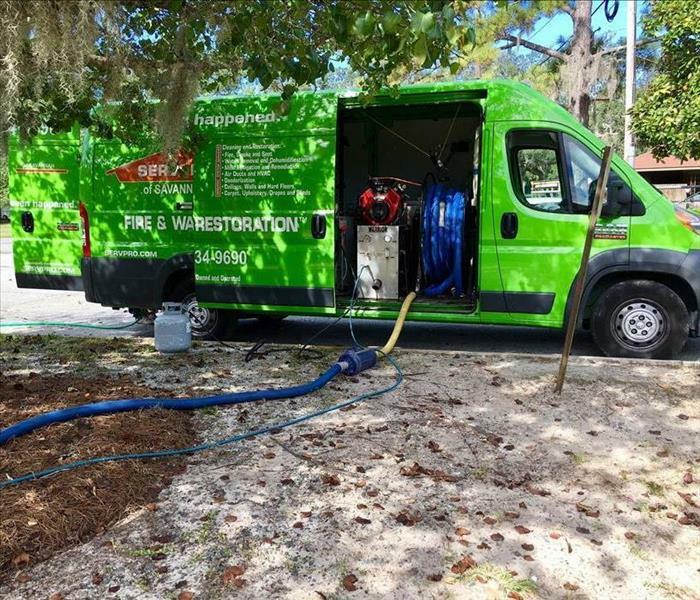 SERVPRO of Savannah was able to get the water dried up quickly. 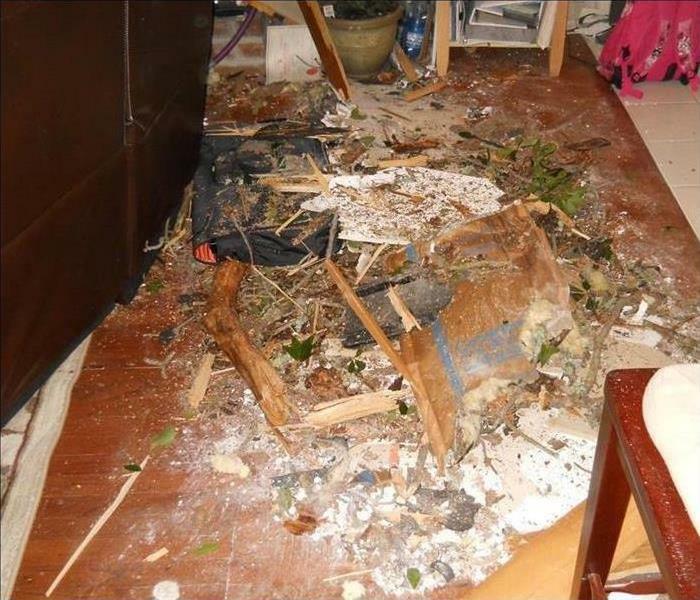 A hurricane that damaged a residential home left a mess of debris in the living room of this Savannah home. SERVPRO of Savannah was able to get all debris cleaned up and removed. This hall suffered heavy smoke and soot damage after a fire occurred at a Savannah area high school. 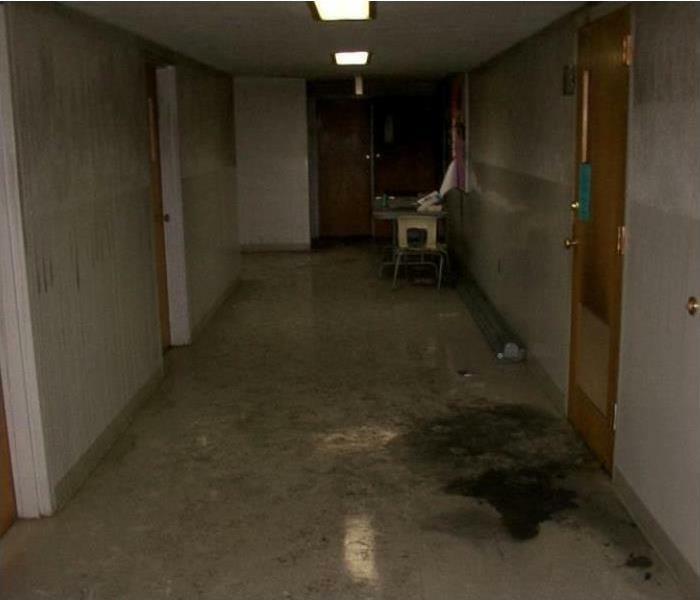 SERVPRO of Savannah was able to restore the hall in the school to its preloss condition. 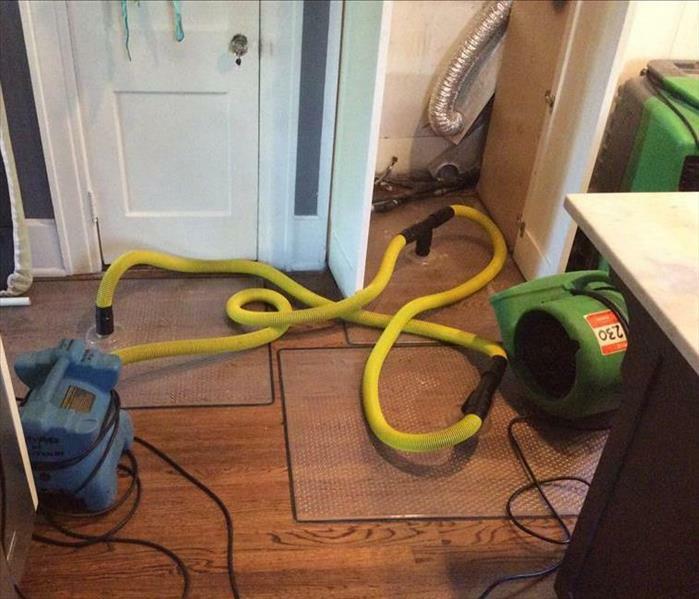 This family’s Savannah residence experienced serious water damage after a the water heater burst. SERVPRO of Savannah has the expertise and equipment to mitigate residential water losses just like this one. In this particular situation, the flooring could not be salvaged. The family was very grateful to be able to use the space again within a matter of days! This Savannah residence experienced severe mold growth that affected several rooms of the house, including this hallway. The walls had to be removed and disposed of to get rid of the mold. After a hurricane, this Savannah residence suffered severe flood damage. The affected walls and flooring were removed and the area was dried. 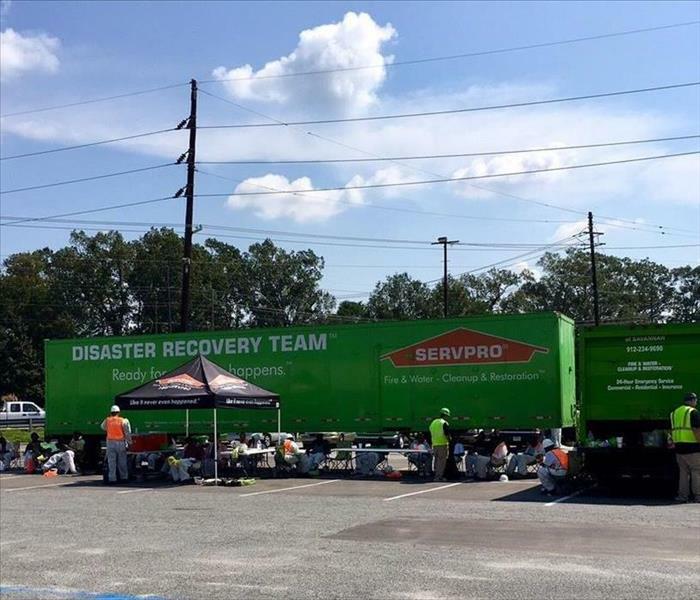 Even during such a tragic time, SERVPRO of Savannah was able to help make the home owners feel "Like it never even happened." A SERVPRO® Emergency READY Profile will help create a plan to minimize business interruption from the bottom to top. The roof top views are just one of the many rewards! 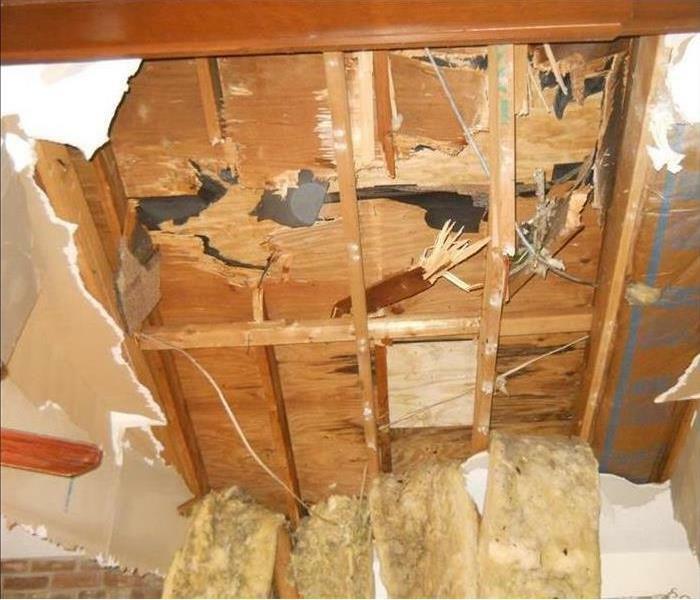 This family’s residence experienced serious water damage after a pipe burst. SERVPRO of Savannah has the expertise and equipment to mitigate residential water losses just like this one. In this particular situation, the carpet could not be salvaged. The family was very grateful to be able to use the space again within a matter of days! A running toilet overflowed in a vacant home in Savannah, GA. The AC had been shut off and the water had been present for up to 2 weeks, so microbial growth was heavy. SERVPRO of Savannah used drying equipment and had to pull several areas of wall and flooring up to remove the mold. This Savannah home experienced flood water in their home due to Hurricane Matthew. 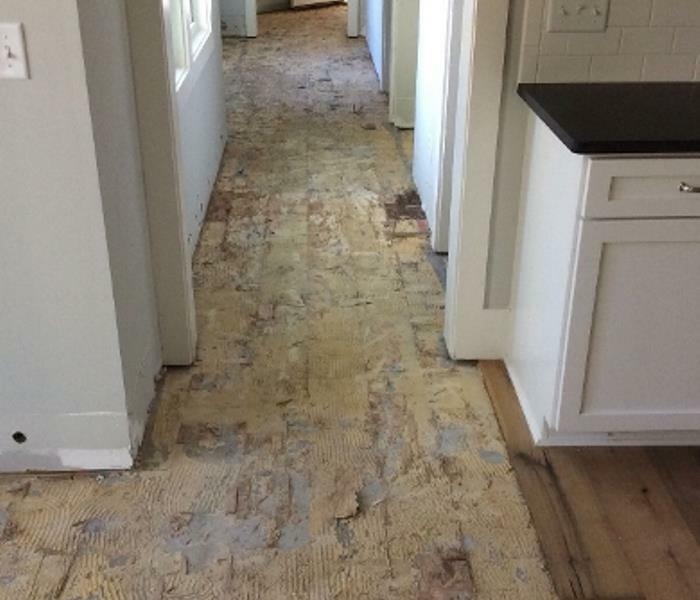 SERVPRO of Savannah was able to dry the area and remove the flooring that unfortunately could not be salvaged. A local church suffered extensive fire, smoke and soot damage from three separate incidents, crippling the construction phase. 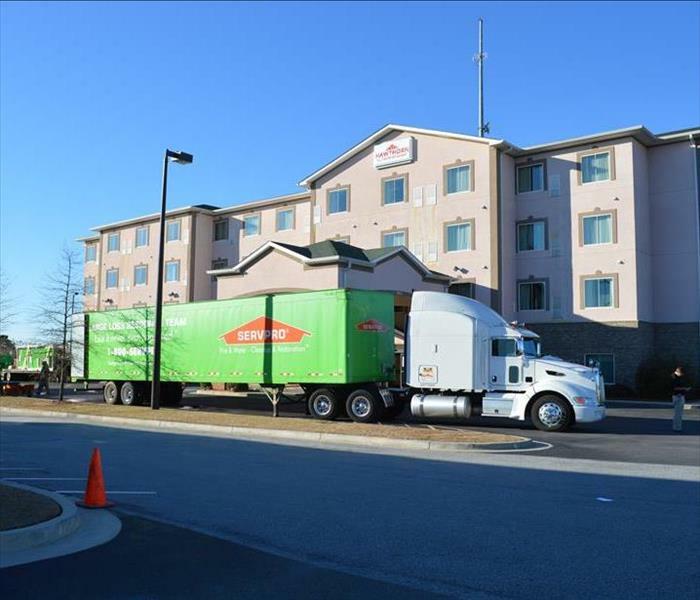 However, SERVPRO of Savannah was able to restore the building to its preloss condition. 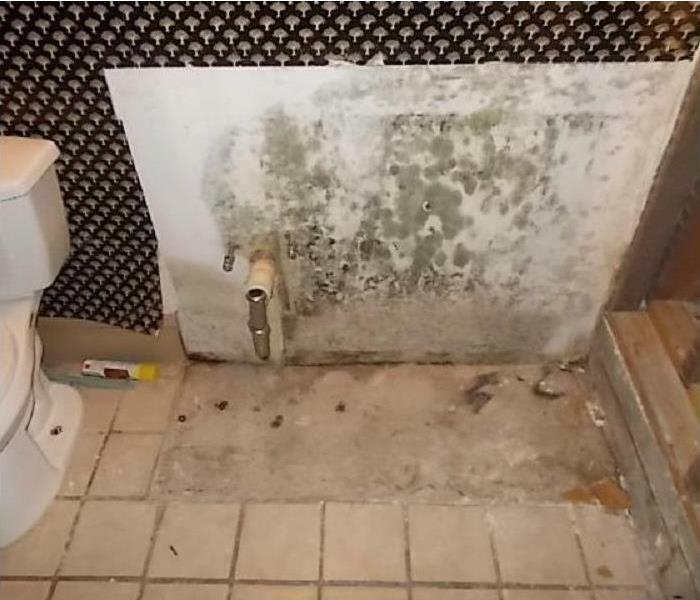 Mold was found growing severely behind a bathroom sink and toilet in this Savannah home bathroom. The wall and insulation behind the wall had to be torn out and disposed of properly. Hurricane Hermine visited Savannah and produced such strong winds that a tree fell on this residential home. The tree severely damaged the roofing and ceiling. After the tree was removed, SERVPRO of Savannah was called to clean up and mitigate the structural damage. This was the aftermath of an afternoon storm. 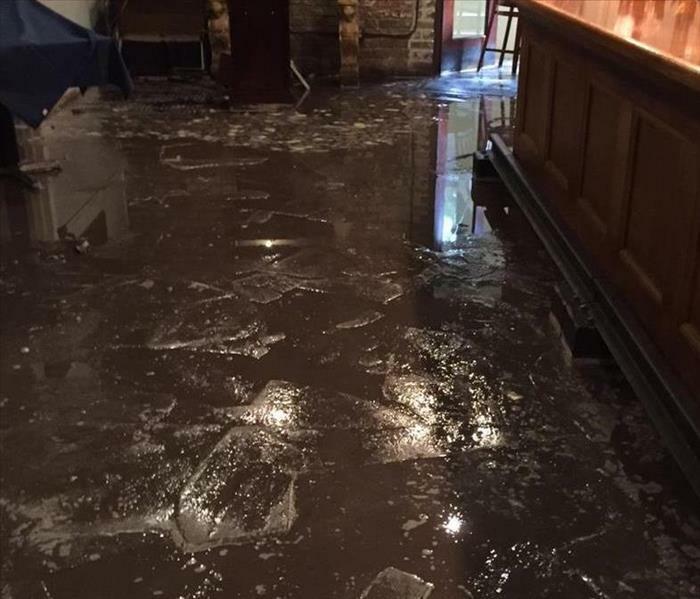 A local Savannah restaurant flooded during the storm. We were able to extract the water quickly so that the restaurant could return to business as soon as possible! Local church suffered extensive fire and smoke damage from three separate incidents, crippling the construction phase. We were able to quickly and completely clean the building so that construction could begin again. This sporty SERVPRO vehicle can be seen driving all around Chatham County. This vehicle is used by our marketing team. 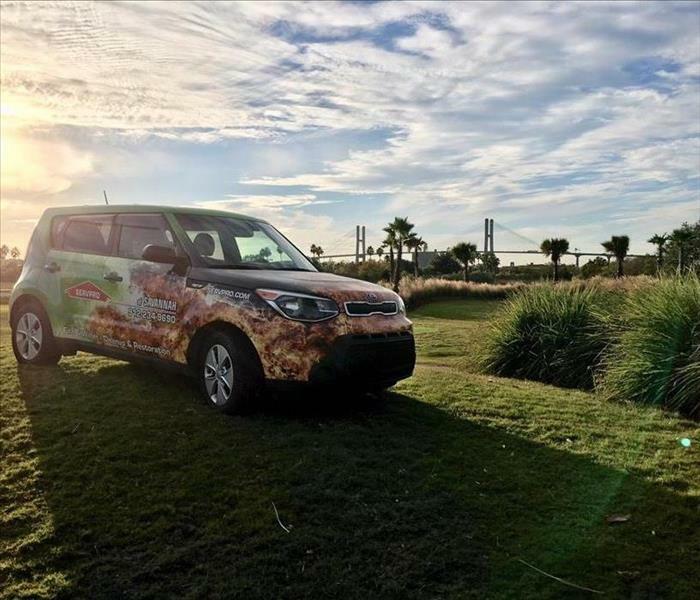 They drive them arund Tybee Island, Port Wentworth, Garden City, Pooler and Savannah. 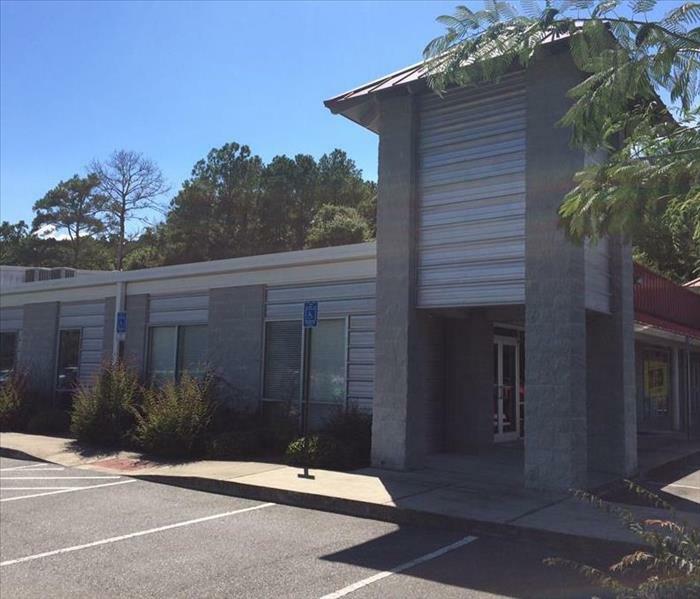 SERVPRO of Savannah has a large warehouse onsite for equipment and storage. As you can see, we make sure that we have a large inventory of equipment to ensure that we are able to respond to calls as quickly as possible. 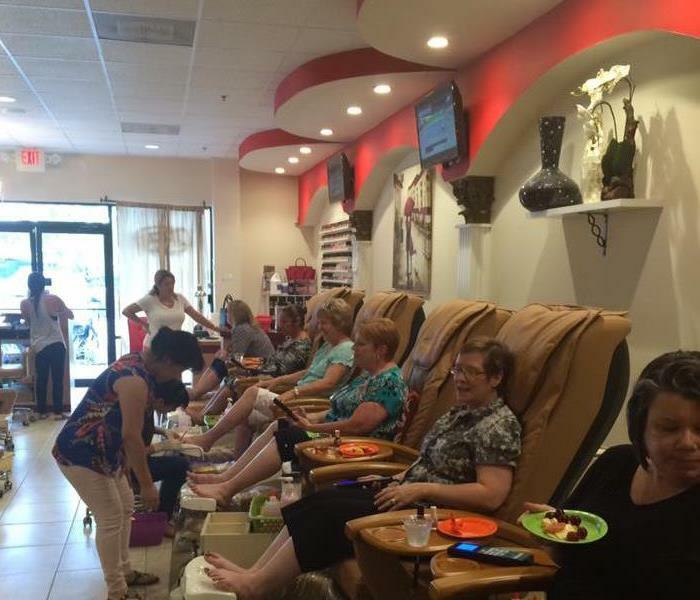 SERVPRO of Savannah recently hosted a Pedi Night for a few local insurance agencies. These ladies were able to relax and socialize while having their toes done. Everyone had a great time. If your agency is interested in attending a Pedi Night, please be sure to let us know! This picture shows a rug being dried. 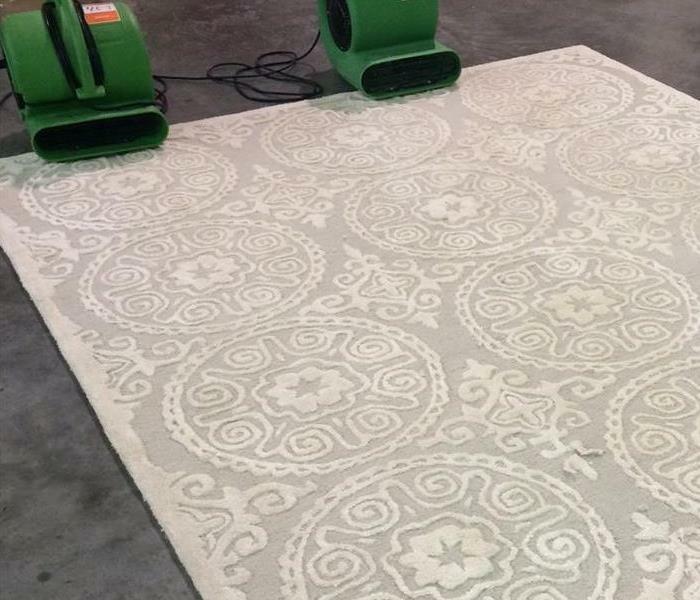 No matter what day of the week it is, you can normally find a rug either being cleaned or in the drying process in our warehouse. 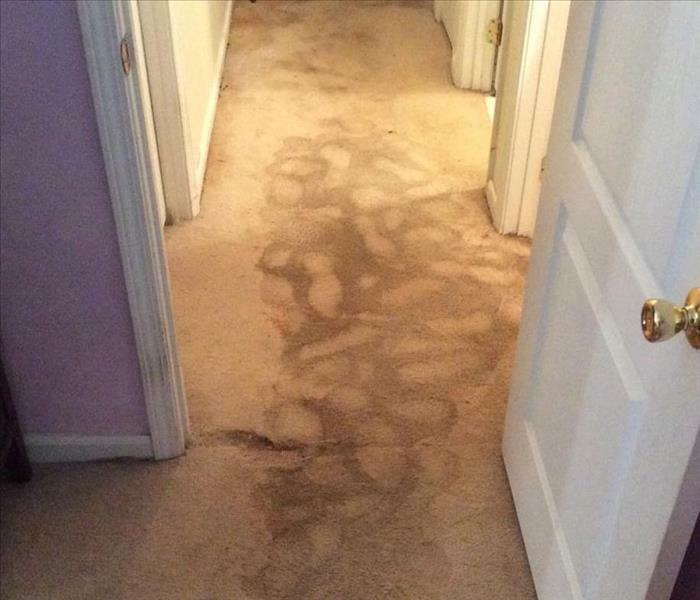 Some kitchen mats and flooring were damaged in a Savannah residence by water overflow. 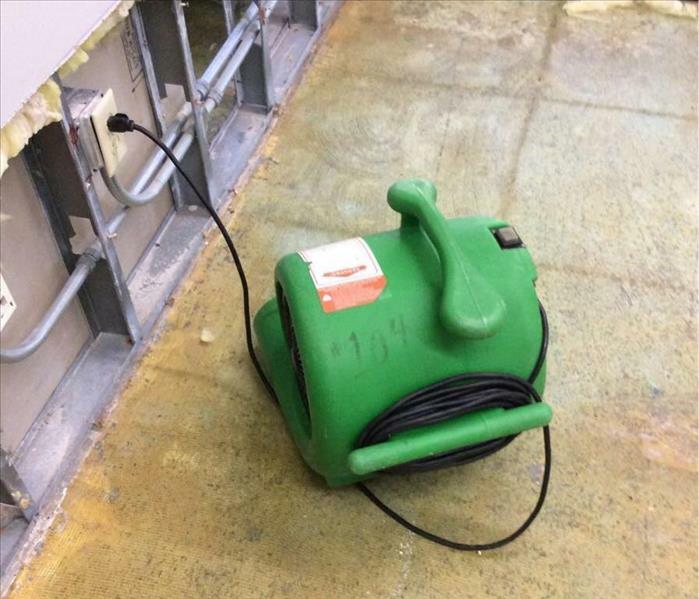 SERVPRO of Savannah put to work some dehumidifiers to dry up the excess water during the remediation process. Smoke damage is not the only result from a fire - your home or building can experience large amounts of soot that settles onto your belongings and furniture. SERVPRO of Savannah can get this cleaned up and deodorized for you "Like it never even happened." This was the aftermath of a house fire in Savannah when SERVPRO arrived on the scene. There is significant destruction as well as smoke and soot damage to the structure and contents. 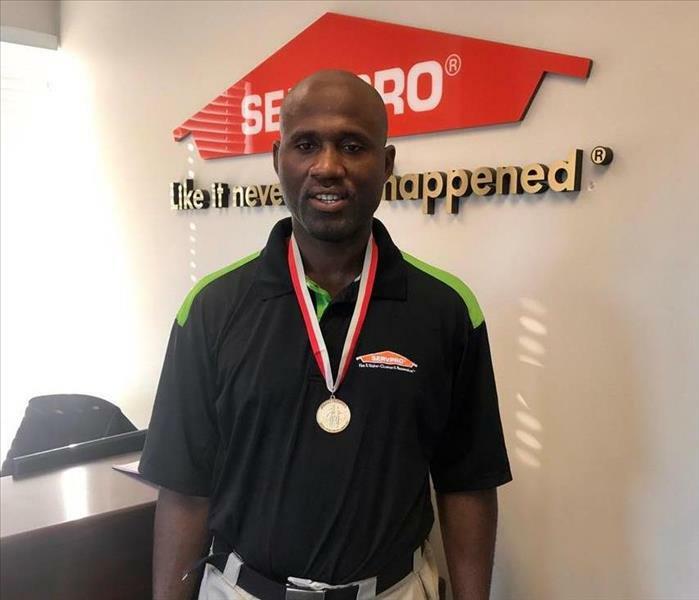 SERVPRO of Savannah was able to restore , clean and deodorize all of the salvageable contents and furniture in the house. Pictured here is the Phoenix Guardian HEPA System, which is a portable air-scrubbing device designed for the restoration industry. 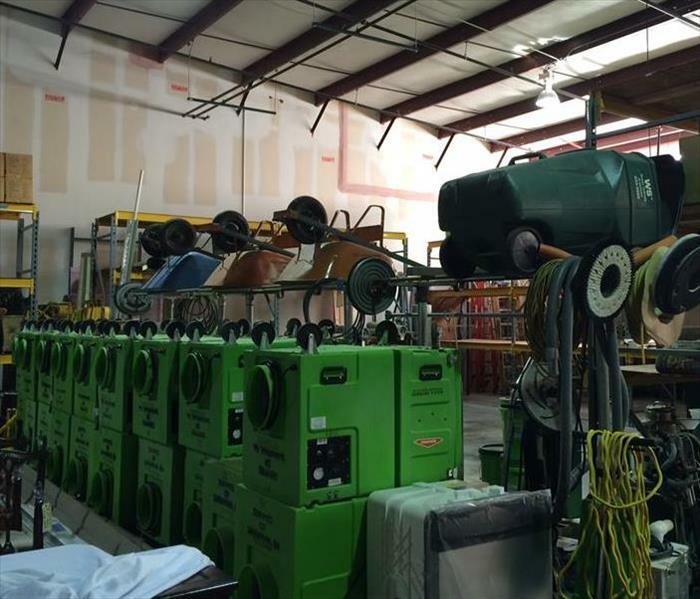 SERVPRO of Savannah uses these contraptions to restore the air quality in affected residential and commercial buildings and structures. 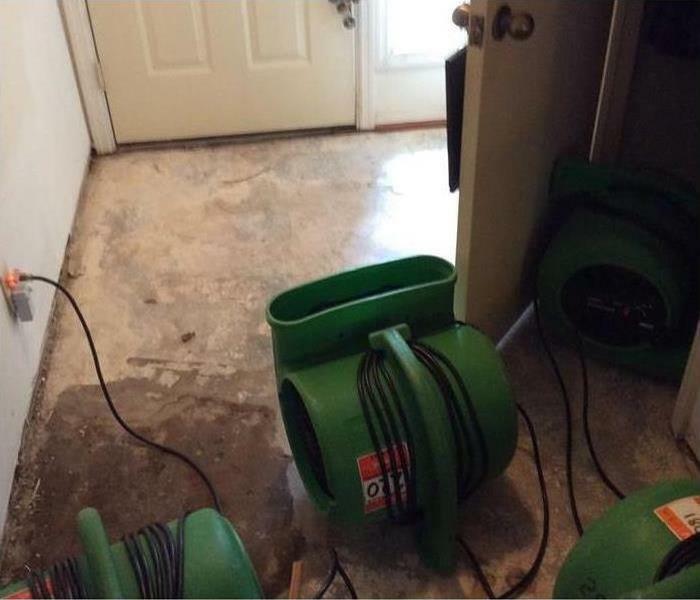 SERVPRO of Savannah was called to help with water damage at this Savannah residence. The first step taken was to prevent any further damage to furniture. 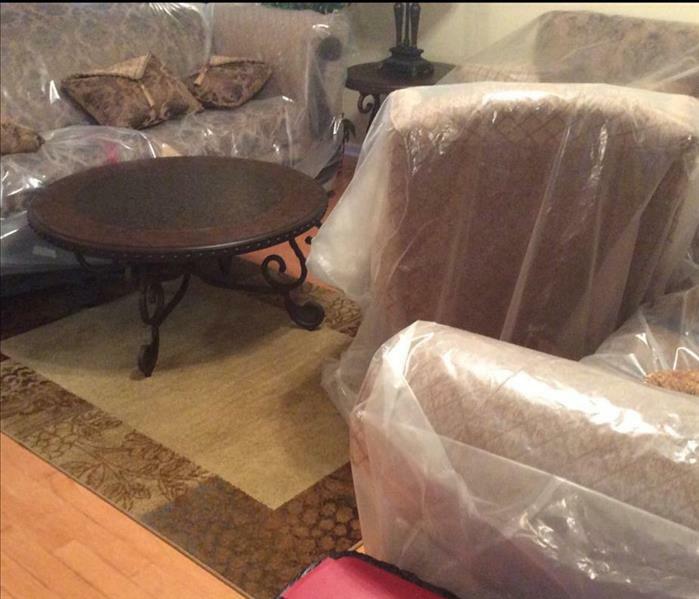 All furniture was covered in plastic for protection.